With Arrow Video having such a successful run over the past 2 years, it was only a matter of time before Arrow Academy titles crossed the ocean as well. 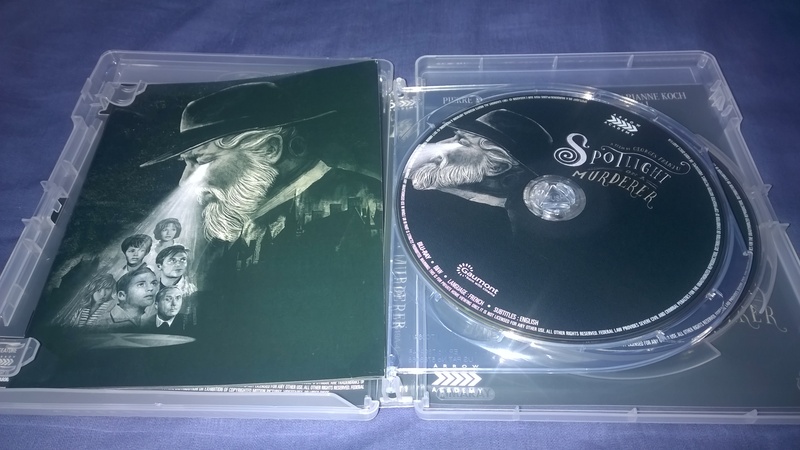 Spotlight on a Murderer is the 10th such release (though it has the number 11 on the spine) and seems to fit in well enough. Without getting too ahead of myself, this release may come down to how much of an Arrow fan/collector you are. Consequently, while it does some interesting things, this is far from a classic that must be in your collection. Let me elaborate. Spotlight on a Murderer opens with a gigantic castle that will be our main backdrop. First of all, it is massive and you can’t help but wonder what kind of grievous and deadly things will befall the characters. Not surprisingly, I was thinking there would be lots of places where a body would never be found. Lo and behold, the first person we meet is the terminally ill Count Herve de Kerloquen who promptly enters a secret room to die peacefully. At this point you may be wondering why he would hide himself like this so as to not be found. Especially, since letters were dispatched to his family saying they needed to come to the castle. Well either he is of the dubious nature or his family is a bunch of couillons. 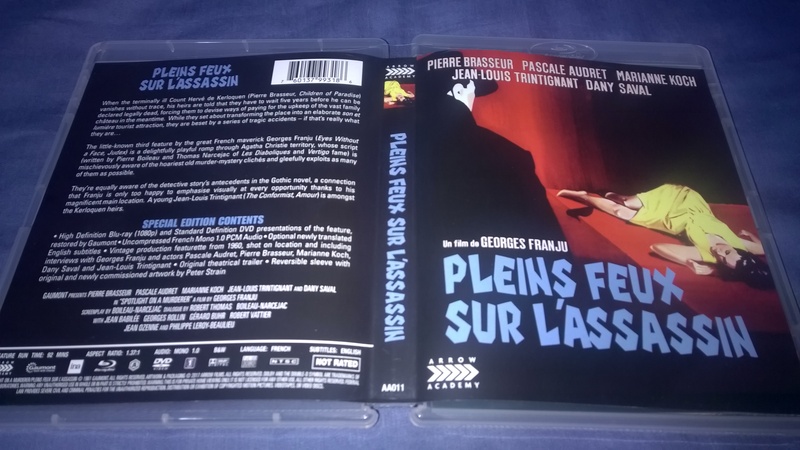 When we are talking French film, we should break out the foreign slurs right? The film never delves into the Count’s history, so we never really learn much about his character. 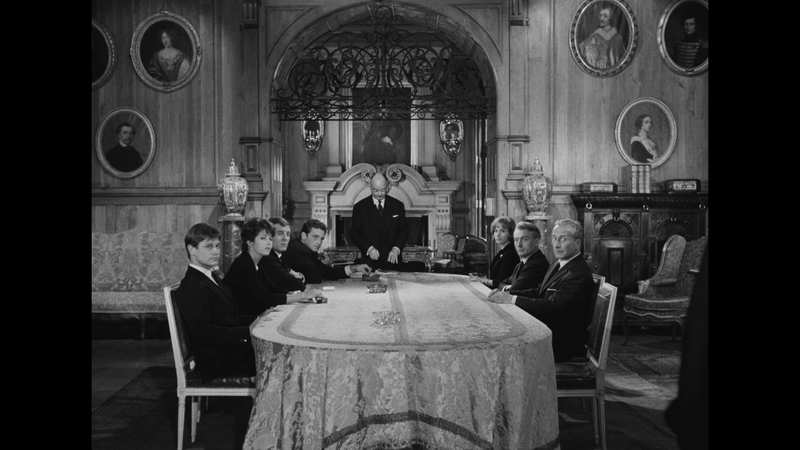 Even though the Count’s condition was terminal, the lawyer informs those gathered that without a body, the inheritance will not be paid out for 5 years. This sets up our main plot where we have the family try to work together to make some money for the upkeep of the castle. Most of the characters have little development and the only backstory is to show that they all are destitute and really needed their inheritance. The family decides the answer is to set up a sound and light show depicting some of the early lore of the castle. The show centers on the Lord from a few hundred years ago and how he caught his wife cheating. He killed the lover and the wife jumped to her death and couldn’t bare to go on. The present then starts to mirror the past. The best part of the film for me was how elaborate some of the rooms and the set design were. I especially liked the gigantic equipment setup they had for the show. 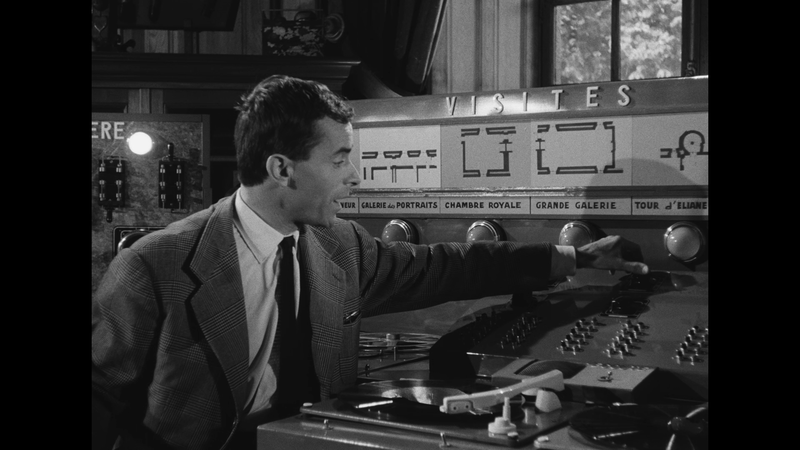 As accurate as newer films try to portray older equipment and fashion, there is no substituting for the real thing. Most of the performances were fine, but nothing stood out. The film never really has a sense of fear for the characters and when someone died, life went on with no mourning. 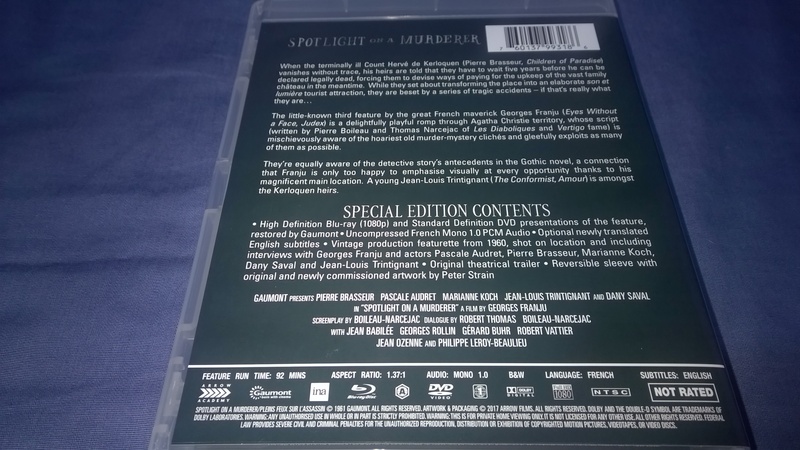 One of the new trends in the Blu-ray market seems to be the black and white cut of popular films like Logan and Fury Road. The problem that can come about is when you don’t plan for that from the beginning. Spotlight on a Murderer is a fantastic example of planning gone right. 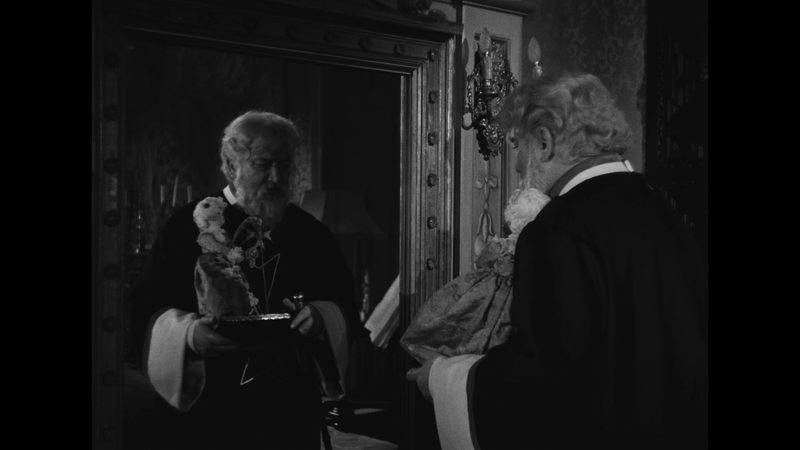 The contrast in the fashion and settings with deep blacks, white whites, and various greys really let the film shine visually. It is quite disheartening watching a B&W film and everything just kind of blends together and you lose a lot of detail. The picture quality itself ranges from good to excellent. Arrow doesn’t say anything about the transfer other than it was restored from original elements. There are some areas of softness during the outdoor scnes, but nothing too distracting. There is not a lot of noticeable wear and tear on the film and a very solid release overall. I imagine this will be the best this film will ever look for fans. This film carries a French: LPCM 2.0 track that does its job admirably. The dialogue is clear and full. The effects sometimes sounded out of place. 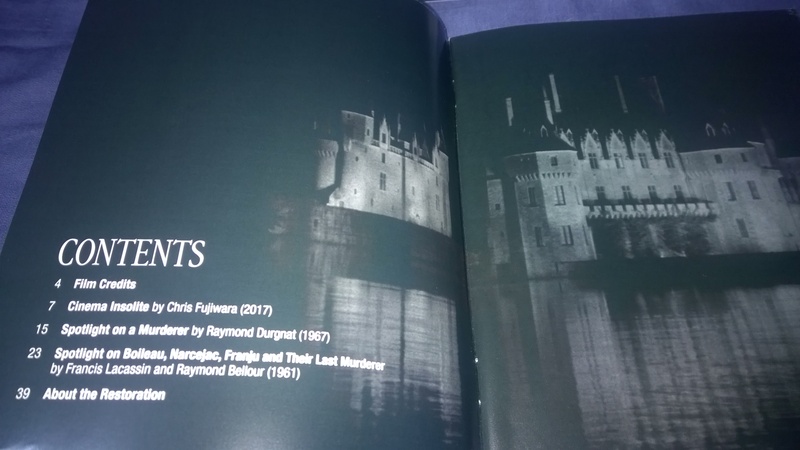 I attribute some of that to the fact they were for the sound and light show in the film and so you were supposed to be hearing them secondhand. The score I have small issue with that it didn’t always match the tone of the film. It’s certainly not one I would perceive as a murder mystery type. Overall there aren’t major issues and I think fans will be pleased with the track Arrow has given. Le Courrier du Cinema (27:14) Multiple behind the scenes interviews for a French Television show. They are very casual and actually get into the actor’s personal lives and touch very little on the film itself. The interviewer constantly interrupts the speaker but no one seems to mind. 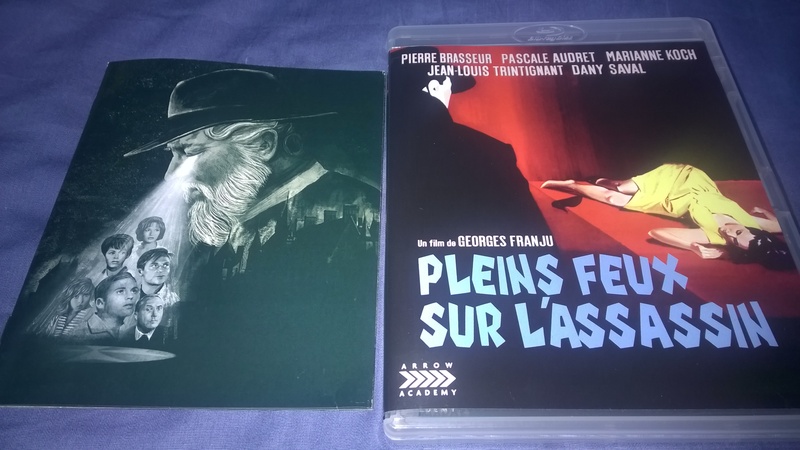 Worth watching if you enjoy French cinema but not if looking for more information on the film. 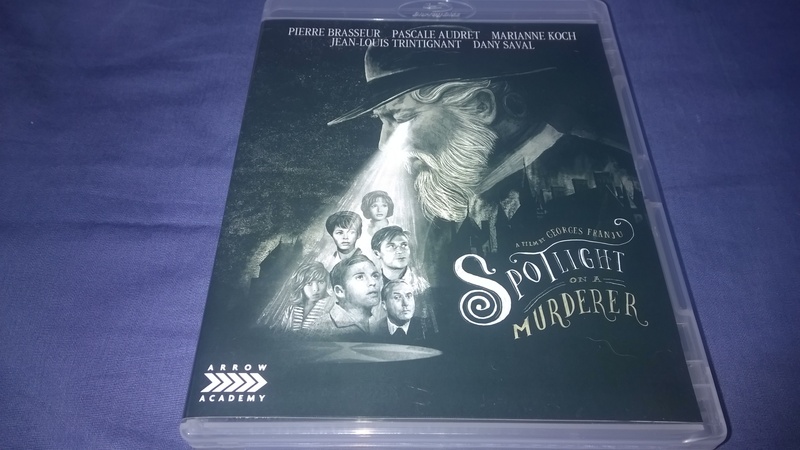 While the story of Spotlight on a Murderer didn’t grab me, it’s still a solid release. I think the film could have had a lot more going with it, but if you are reading this review you are probably already a fan of the film or genre and are looking more for how good of a job Arrow did. The technical aspects should please most/all fans, the packaging is nice and there are some good supplements even if some would like more. This Blu-ray is out now and can be purchased at Amazon and other fine retailers.